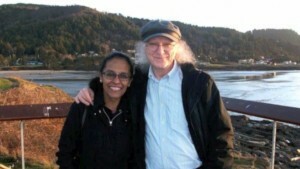 Kevin Ahern and Indira Rajagopal, both from the Department of Biochemistry and Biophysics at Oregon State University, described the process of creating an interactive e-textbook in biochemistry while presenting at the Gordon Research Conference on Undergraduate Biology Education Research in the summer of 2015. G2G asked them about their experience writing and publishing and they offer advice to anyone contemplating e-book authorship. As faculty at a land-grant university, we have witnessed the effects of the rising cost of higher education as our students struggle to complete college in a timely manner, even as they take on increasing amounts of debt. OERs hold the potential to help ease the burden for students, especially those of modest means. 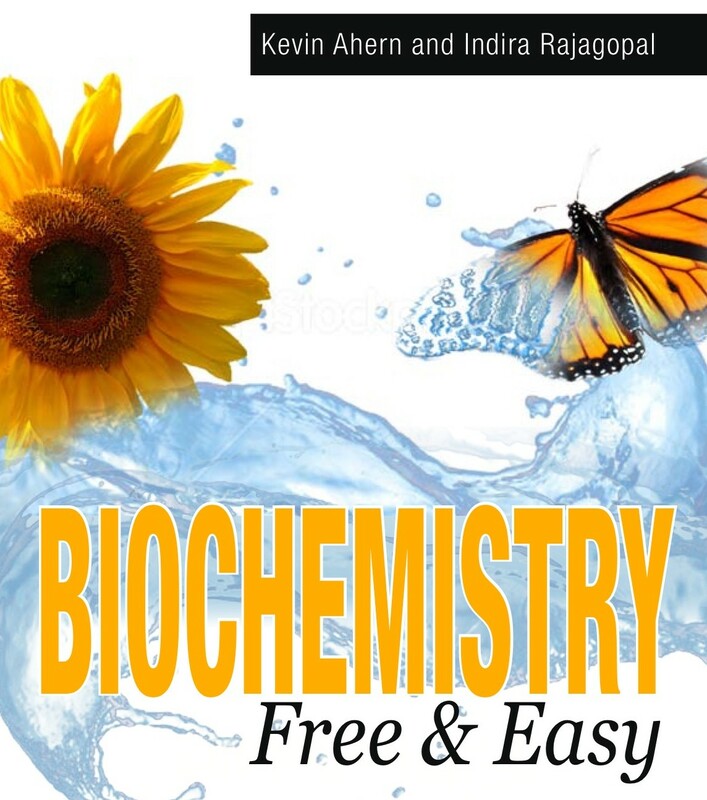 This is the story of Biochemistry Free and Easy, an OER e-textbook for introductory biochemistry that we have created and distributed worldwide since 2012. We did not originally envision the book as a free e-textbook; initially, we were writing a simple, introductory text focusing on basic biochemistry, to be published at low cost as a print book by a small start-up publisher. We quickly discovered that the publisher did not have the resources to create a quality publication and the price they wanted to charge was much higher than we had been led to believe. Our discussion of these issues with the managing editor led a termination of our agreement with the company, leaving us with a book with no publisher that still needed figures. Kevin obtained a grant to pay a graphic arts student to create figures for what we assumed would be a print book. Then, on January 19, 2012, a new software tool was released that changed everything for us. iBooks Author is an Apple product that allows one to easily create electronic books readable on an iPad or as PDF files for a personal computer. At the same time, Apple created a section of the iBooks marketplace for publishing and distributing iPad (and Macintosh)-based textbooks. Apple normally retains 30% of the book’s cost and leaves the author with 70%, but if authors do not charge for their book, then Apple distributes it cost-free. We realized at once that we could use iBooks Author to create an attractive e-book that could incorporate the advantages of electronic media and distribute it worldwide at no cost, since we did not intend to charge for it. Anyone who has used other page layout programs will readily be able to create a book with iBooks Author. With it, we could blend figures and text easily via drag and drop and we could also integrate media, such as audio, video, and rotatable 3D models. Working in the evenings over about a two-month span, we completed the layout and uploaded our book to the iBookstore for approval, which came on August 2, 2012. At that point, the iPad version was released, followed shortly later by the PDF version (hosted by our own department). In early 2015, a Kindle version followed. Successful OER e-books must be accurate, understandable, easy to use/read, and (increasingly) interactive. Some students like to be “told” the relevant information and others like to discover/explore it. A successful book must balance these perspectives. Figures are a challenge and can be expensive. Graphic arts students can often be hired on campus to save money. All artwork is best created as vector-based figures, since these can be scaled and readily converted to JPEGs or PNGs. There are also many high quality figures available in the public domain (and under Creative Commons licensing, if used appropriately). iBooks Author is an Apple product. We are unaware of a similar, easy-to-learn tool for making Android tablet-based content. Though PDFs can be read on almost all tablets and personal computers, that format lacks the ability to handle multi-media, which is important in an electronic book. If software to create similar content for other platforms were available this could extend the reach of OER e-books. Success with an OER book requires that people learn about it. Many faculty are not aware of OERs that may be useful or relevant to their courses. This can limit the use of such resources in college classrooms. Traditional publishers work from the top down, by paying a large sales staff to connect with instructors. Our book has been a bottom-up effort, since students are the ones who discover our books first. Consequently, there have been relatively few adoptions of our book for courses, since most professors only learn of the book after their students show it to them. One very valuable source of free publicity has been YouTube where Kevin has numerous video lectures that are quite popular with students. Each video lists a link to the free textbook and this is the most common way students have found out about the book. Authors of OER books do not receive financial rewards, at least not directly. We have advanced in our careers (promotions, raises) as a byproduct of the success of our book, but there are no royalties for a free book. On the other hand, there is enormous value to contributing to making education accessible to as many people as possible and that, in fact, has been our primary motivation and source of satisfaction. We are currently working on another OER book, tentatively titled “Biochemistry Free for All.” It will provide a considerably more advanced coverage of biochemistry than the first one and will be distributed through the OSU Press (free as an e-book and provided at cost for print-on-demand hard copies). Dr. Indira Rajagopal is a Senior Instructor for the Oregon State University (OSU) Department of Biochemistry and Biophysics. She received her PhD in Biochemistry from the Indian Institute of Science (Bangalore, India). Dr. Kevin Ahern is a Professor in the Department of Biochemistry and Biophysics at Oregon State and makes all of his lectures available on YouTube. He received his PhD in Biochemistry and Biophysics from OSU. The views expressed in guest posts are those of the authors and are not necessarily endorsed by the Genetics Society of America.